after impatiently waiting and slowly building my sour pipeline, the time had finally come to bottle the first of my four annual house sours: cuvee de cabrillo. after a year in the fermenter (and close to ten months on cherries and oak), the beer had dropped to a FG of 1.0038, for a final abv of 11%. 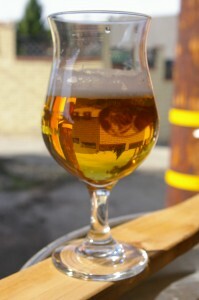 I am also happy to report a great cherry aroma and a significant complex sourness, which I’m guessing is attributable to the robust cascade lacto and/or the cuvee de tomme “superbug” dregs I pitched around nine months back. despite the growing trend of “quick” sours, I feel that the only way to get a satisfying multi-dimensional sourness is to wait out a long-term fermentation. after close to a two-hour boil, I ended up with an SG of 1.091, which was right on target for the recipe. after cooling the wort overnight to 66F, I racked it directly onto the oak, cherries, and yeast/bug slurry of the previous batch. I’m planning on letting the bottles carb up for a month or so before I pour one out to see the final product. 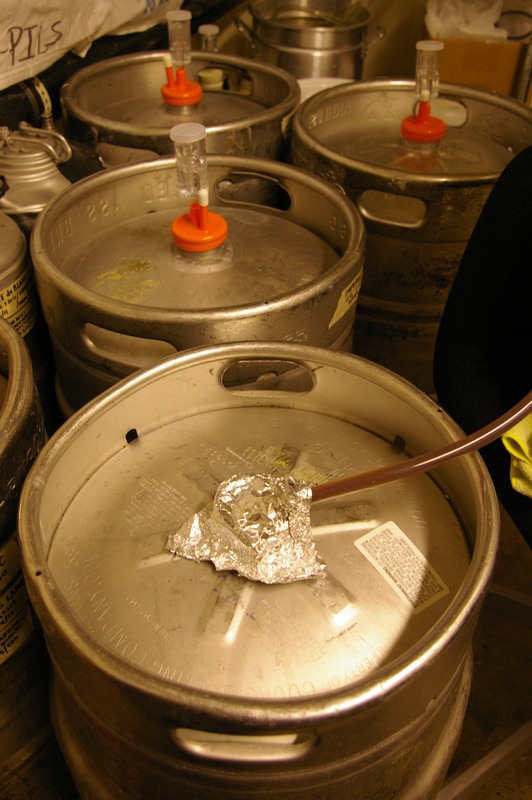 note that to ensure adequate carbonation, rehydrated wine yeast was added to both the keg and bottling bucket at the rate of 1gram/100mL warm water/5gals beer, and 5.8oz of dissolved and cooled cane sugar was added to the bottling bucket, while 4oz. 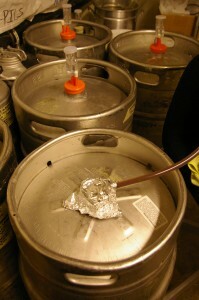 dry cane sugar was added to the keg. AP and I also celebrated the weekend by heading over to mohawk bend, an echo park gastropub from the guy who thought up tony’s darts away. beers and spirits are CA-only, and most of the (vegan-centric) food is sourced within the state as well. AP and I washed down some mussels, quinoa salad, and vegan burgers with some tasty brews like craftsman’s IPA and el segundo’s double summit dry hopped blue house pale. 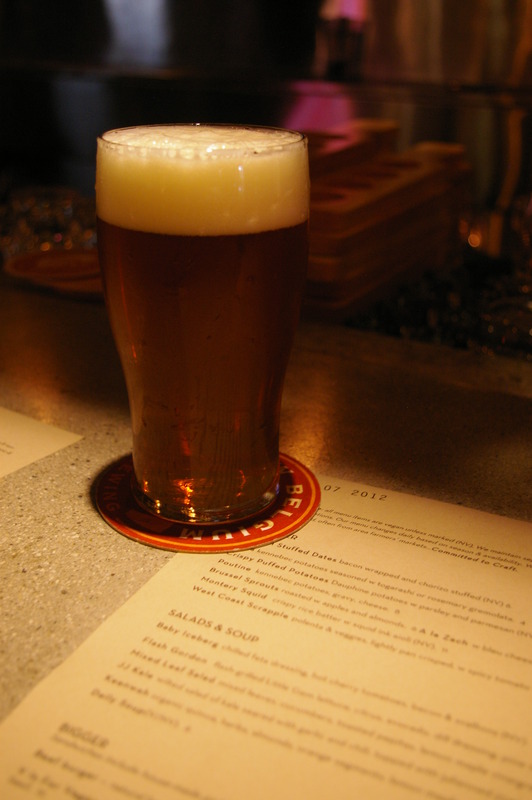 although the location results in a hipster-dense atmosphere, the food, beers, and service were fantastic, and mohawk bend is definitely on my short list of key players in the LA beer scene. 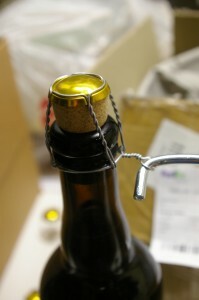 This entry was posted on Wednesday, January 11th, 2012 at 1:36 pm and is filed under beers, brewing, places. You can follow any responses to this entry through the RSS 2.0 feed. You can leave a response, or trackback from your own site. 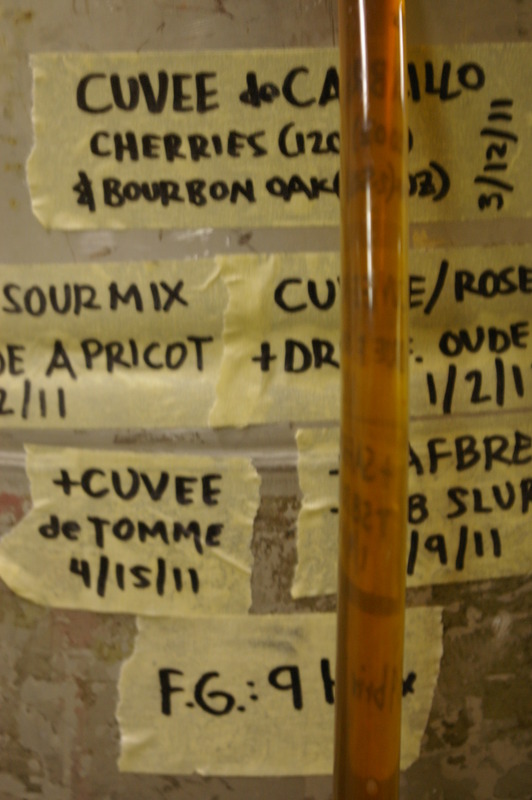 wow, one full year in the fermenter? 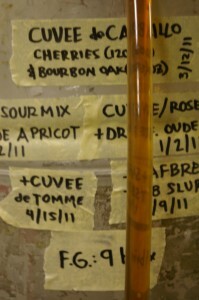 That cherry sounds amazing and the color and clarity of that beer are exquisite. Really pondering your idea for April!